Thank you for everyday support. We will inform a new article. 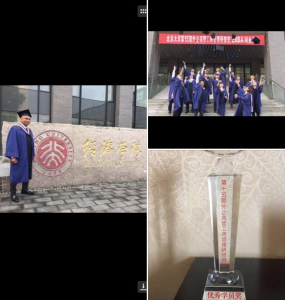 Nakao who is the representative of ZEN Company completed the EMBA (Executive MBA) course 15th of Peking University in this July. Nakao won the Excellent Student Prize in graduation ceremony. It is a very honorable prize and he is proud. The coexistence with work, a monthly class and the presentation of the dissertations was not easy. But was able to learn many things. Nakao would like to make use of precious learning in future business. Please pay attention to ZEN continuously from now on.